Total investements in new ethanol production plants can be reduced by 10-20%, due to Betaprocess. In general it is only possible to distil sugar beet juice, which makes it necessary to invest heavily in equipment needed for preparation and separation. 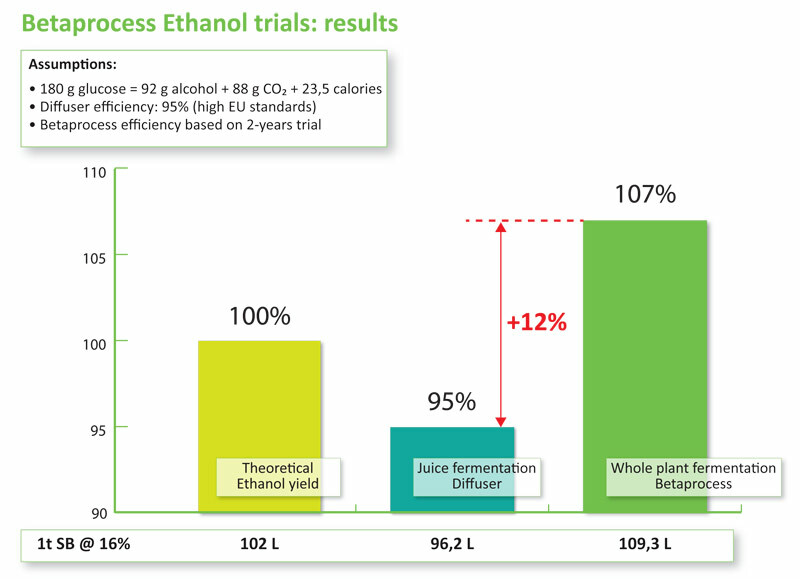 Betaprocess however, makes it possible to distil the whole plant itself. We provide turnkey installations comprising besides the Betaprocess unit, modified fermentation tanks and distillation columns, specifically designed for whole plant fermentation. Actually, Betaprocess pays for itself in this case. Other additional advantages of Betaprocess are a much more stable production process with less failure and considerable savings on enzymes.